If you are like me, you don't like to feel confined. I don't like to feel physically confined. I remember fighting panic when we vacationed in our tent trailer and I slept in a narrow place between my husband, the canvas wall beside me, and the canvas roof that sloped to just inches of my face. But David tells us that God confines us—fences us in, a hedge in front and in back, His hand on top. If life is good we may scarcely be aware of this constriction. 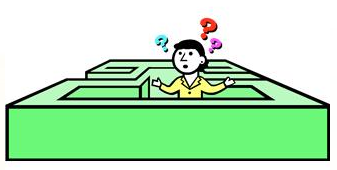 But when circumstances are hard, the job is unfulfilling, other pastures look greener, it is easy to try to wriggle out of the place we're in, to spring ourselves from what feels like a prison. What I don’t tell him, because I’m not sure he’d understand, is that the only thing keeping me here—besides the children—is my sense of being placed here by God. Like the psalmist, I have found that God leads people who are willing to be led. If it weren’t for that, I’d be filling out as many applications as it takes to get out of here as quickly as possible. However, until it is clear that I am supposed to move on, I listen for God’s instruction right where I am, confident that God will teach me the way to go, and lead me when the time is right." Perhaps that attitude of trust in God, that willingness to stay or to go in God's time, not ours, that is the secret of living without restlessness, anger, resentment, bitterness etc., in our hedged-in place. PRAYER: Dear God, thank You that Your enclosing of me is governed by Your wisdom, love, and power. Knowing that, I can live wherever You put me. Remind me of these things when I feel like complaining about my circumstances. Amen. I'm excited about launching a newsletter and I'd love to send it to you! Book recommendations. I discover some wonderful books as a book reviewer. Bible study tips and aids. In the 4+ years I've been writing Other Food Daily Devos, I have come across many helpful resources. 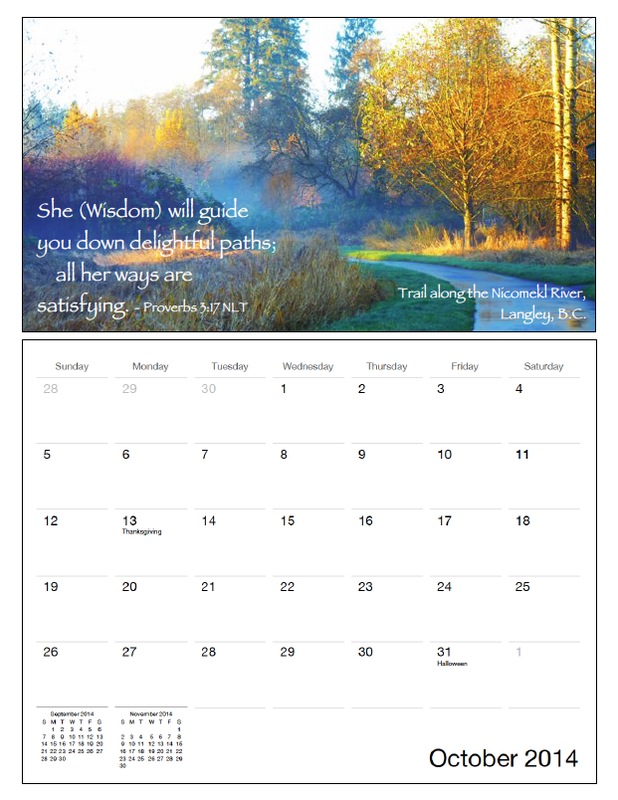 Sample page from Pathways Calendar. The newsletter will come out quarterly (four times a year). I'm currently collecting names for my September 1st newsletter launch and would be delighted to have your name on the list. Get a colorful 18-month scripture-text calendar when you sign up (designed by me especially for all you wonderful subscribers)! Withdraw - is it an option?